The Dexter 12SXL-PCP sharpening steel has a coarse surface that enables it to remove material from blades to restore their sharp edges. 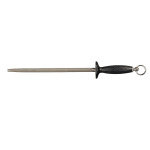 The tool is constructed of high-carbon steel that is very hard, so it is durable enough for heavy-duty commercial use. The metal is resistant to staining. The polypropylene handle is slip resistant to provide a secure grip. 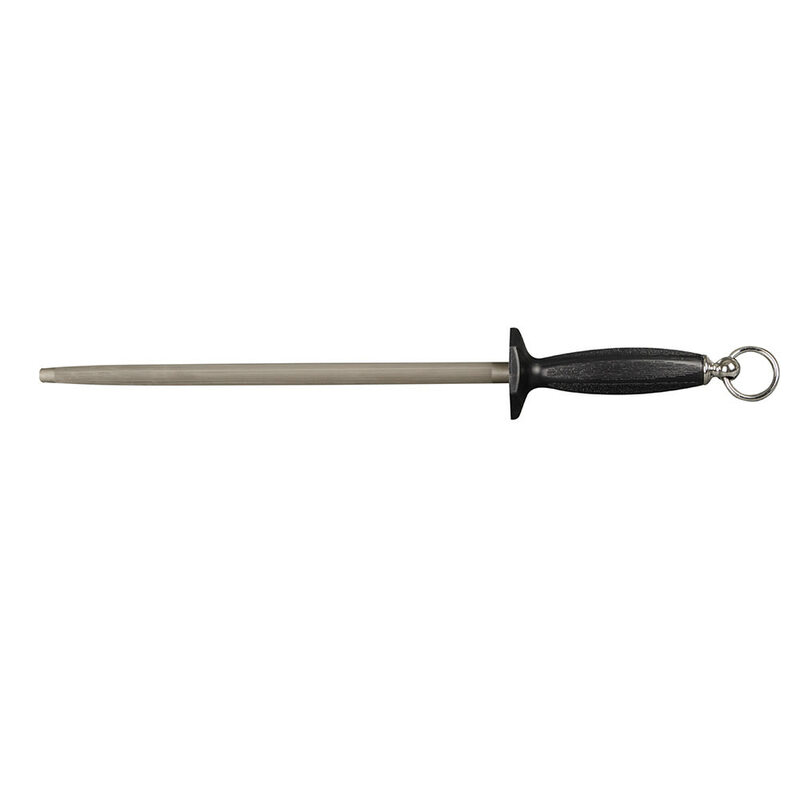 The Dexter 12SXL-PCP sharpening steel has a protective finger guard to keep the user’s hand safe during sharpening. The swivel ring on the end of the handle allows for hanging storage of the tool.